Home / Itineraries / india Itineraries / ‘Google Maps’ of the 16th Century Still Exist and This Is Why You Should Care! Today, the travel world glorifies the act of getting lost. This comes in the wake of easy availability of resources and human existence in every corner of the world. But long before GPS, digital maps and location tracking took our world by storm, getting lost along the way was not much fun. Till the 16th century, losing one’s way would often result in starvation and possible loss of life. The empires were spread across miles of open fields without any milestones or pit-stops in sight, making it easier for messengers and travellers to lose their way. To help people find the way, Kos Minars were erected along the major highways of the country. In 1575, Akbar organised the construction of Kos Minars, meaning Mile Pillars, at every Kos on the way from Agra to Ajmer. Kos was a medieval unit for measuring distances and equaled approximately 3 km. 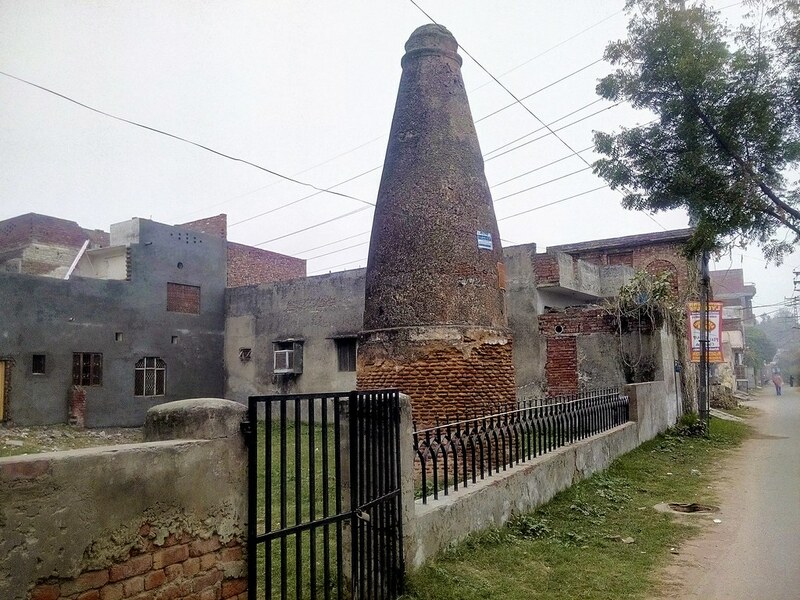 Akbar’s successors added to this network and thousands of these minars were built along the pathways from Agra to Peshawar via Delhi, in the East to Bengal via Kannauj and in the South from Agra to Mundu via Shivpuri. The primary purpose of the Kos Minars was to help travellers and passers-by stay on their chosen path. Historical evidence shows that many significant monuments and battlefields were situated in close proximity to these pillars. A large network of sarais (resting places for travellers), and baolis (step wells for drinking water) was developed near the mile pillars for convenience of the travellers. These minars further assisted the king with managing of his empire. They were equipped with a horse, a rider and a drummer to convey messages quickly from post to post. This made these pillars an integral part of the communication system in that era. It is noteworthy that the major active highways in the country today were built along the same routes that were used in the 16th Century. One can see a glimpse of these structures while driving along the Delhi-Agra national highway among others. Lack of a systematic analysis results in an unknown number of existing Kos Minars being left ignored and depreciated. Kos Minars were identified as an integral part of country’s ‘national communication system’ by the Archaeological Survey of India (ASI), and their report shows that most of these pillars are not protected monuments. ASI reports the existence of 49 Kos Minars in Haryana, of which 17 are in Faridabad, seven in Sonepat, five in Panipat, 10 in Karnal, nine in Kurukshetra/ Ambala and one in Rohtak districts. A recent move by the Delhi high court has led to the demolition of encroached shops and removal of vendors by the DDA and Municipal Corporation in the Mathura road Kos Minars. However, the pillars elsewhere still remain in shambles. Development, industrialisation and encroaching of lands have exhausted some minars, while others are giving in to their age. Absence of proper care and management has pushed them on the verge of collapsing, crumbling and peeling off. Only a lucky few stand gloriously intact, like the ones at the Delhi Zoo and in Bhulwana village in Palwal on the Delhi-Agra road. Haryana government has forfeited their historical significance. Some are protected to an extent by the Ancient Monuments Preservation Act, which prohibits any construction within 200 metres of an historical monuments, or site. Missing efforts towards the betterment and protection of Kos Minars by the authorities have kept them in stupor. Hopefully, actions of the Delhi High Court would resonate with the authorities at various levels and spring a much-needed action. Most certainly, Kos Minars, with their grand historical significance and a great present-day travel story, could do with some attention to get over their existential crisis. Share your travel stories here. Get travel inspiration from us daily. Send a Whatsapp on 9599147110 today! 120ft Rappelling and Exploring Sandhan Valley (Batch 1) on 16th and 17th May 2015 !